A court in Moscow has found eight people guilty of mass riots and attacks on police officers during street violence in the Russian capital in May 2012. The sentence is expected to be announced on Monday. The group of people tried within a single case initially numbered 12, but four of those were recently released under amnesty. The rest remained on trial, as they had been charged with attacking police officers and the amnesty could not be applied for them. Prosecutors demanded prison sentences from five to six years for the suspects, saying that they were too dangerous to the community to be allowed to remain at large. Defense lawyers argued that the 2012 protests cannot be considered mass riots, questioning the testimonies of police officers who had earlier admitted that it was often too difficult to identify their attackers. However, at least some of those convicted were videotaped while fighting policemen and throwing rocks at them. 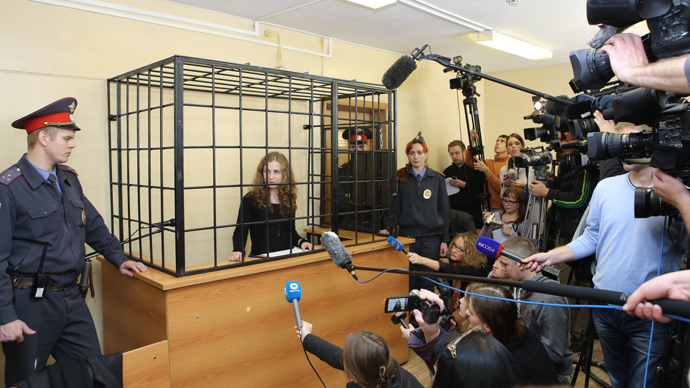 The Bolotnaya Square case has resonated strongly in Russian society, with thousands of people holding that the suspects were innocent and that the sole objective of the process was to intimidate the public and to choke the nascent protest movement. Several rallies in support of the suspects were held throughout the country. Several hundred users of one Russian social network said they were ready to take to the streets on Friday night after the sentence is announced. About noon on Friday as the judge was preparing to pronounce the sentence about fifty people were detained for breaching the public order as they attempted to protest near the court building. The Bolotnaya Square case dates back to May 6, 2012, when thousands of people held a rally in protest against alleged violations in the parliamentary elections of 2011. The demonstration also gathered those who disagreed with the politics of the authorities in general, pointedly held the eve of Vladimir Putin’s presidential inauguration. 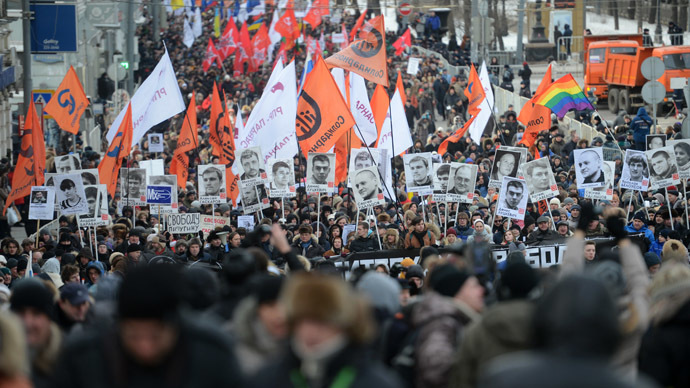 The protest, labeled by its organizers the ‘March of Millions’ was coordinated with Moscow City Hall and held on Bolotnaya Square – a relatively unpopulated site across the river from the Kremlin but aside from major transport routes. The police estimated the number of protesters at about 8,000 people. Organizers claimed there were about 30,000. At some stage a small group of demonstrators tried to stage a sit-down strike and police began to force these people away from the square. Some other protesters offered violent resistance to officers and the demonstration quickly degenerated into a street riot. As a result over 400 people were detained for throwing pieces of asphalt at law enforcers, fighting with them and trying to prevent the arrests of the most radical members of the rioting crowd. As a result, 82 police officers were injured and over 400 protesters were detained. The total damage to property was estimated at over 28 million rubles (around US$900,000 at that time). Most of the detained were fined and quickly released but 28 people stayed in custody and faced criminal charges of participation in mass riots and applying violence to representatives of state authority. Both offences are punishable with lengthy prison terms. In autumn 2012 one of the suspects was sentenced to four-and-a-half years in prison. Another rioter was also found guilty, but the court ordered to send him to a closed psychiatric ward as he suffers from schizophrenia. In October 2012, Russia’s federal law enforcement body – the Investigative Committee - initiated a probe into preparing and instigating the mass riots at Bolotnaya Square. 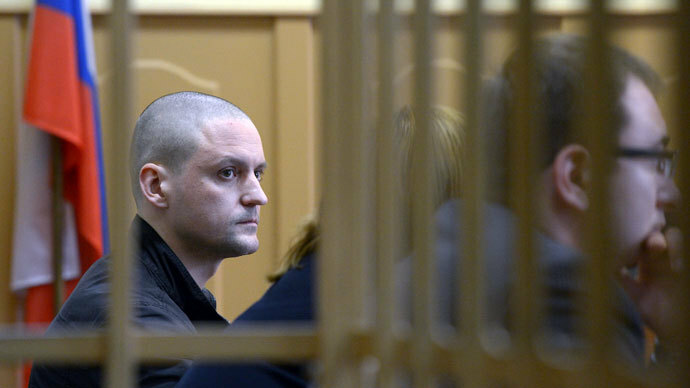 The case was launched after officials obtained a video in which leaders of Russian street opposition, in particular the head of the Leftist Front movement, Sergey Udaltsov, were discussing street actions with Givi Targamadze – a former Georgian MP known as an expert in so-called ‘color revolutions’ – street protests leading to the change of the regime. 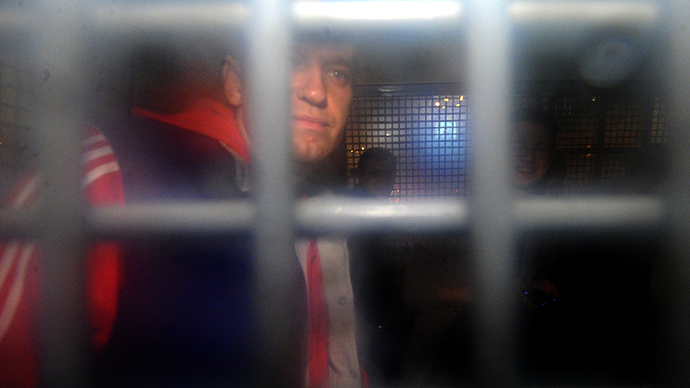 Udaltsov and one of his aides were detained and charged, and now face up to 10 years in jail. One opposition activist has already entered a plea deal within this case and was sentenced to two-and-a-half years in prison. 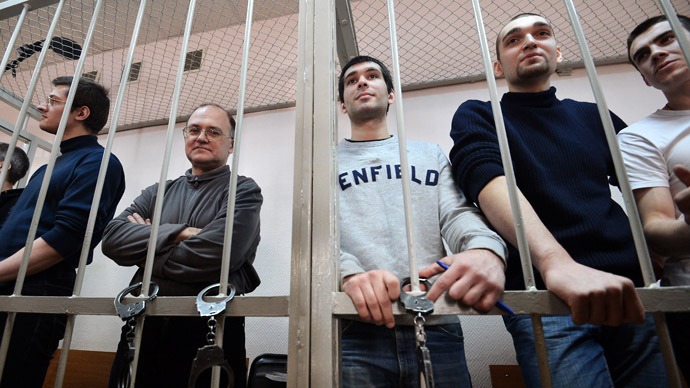 Targamadze was charged in absentia and put on the wanted list, but remains outside Russia.